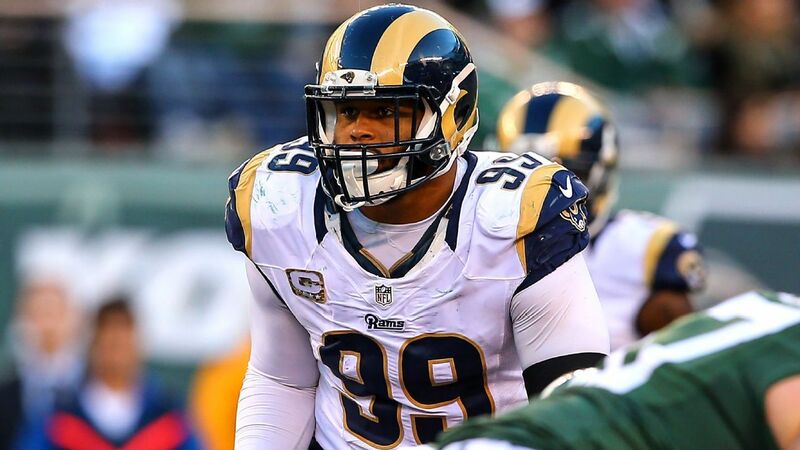 THOUSAND OAKS, Calif. — Defensive lineman Aaron Donald was not on the practice field Tuesday as the Los Angeles Rams opened mandatory minicamp at their training facility. Donald’s absence comes as little surprise after the reigning NFL Defensive Player of the Year did not attend any portion of the voluntary offseason program. Donald and the Rams remain in a contract dispute that dates to 2017. Coach Sean McVay said after the workout that he anticipated Donald’s absence after a recent conversation with him. Donald is scheduled to earn about $6.9 million in the final season of his five-year rookie contract and is seeking to become the highest-paid defensive player, if not among the highest paid players, in the league. Last year Donald stayed away from the offseason program, including OTAs, but reported to minicamp to avoid a fine — though he did not participate in drills. Donald then held out of training camp before arriving at the training facility a day before the opener, without a new contract in place. After sitting out the opener, he finished the season with 11 sacks and five forced fumbles as the Rams clinched the NFC West division title and made their first playoff appearance since 2004.